The ruling to strip the nationality of Haitian descendants going back eight decades is legally absurd, blatantly racist and violates basic laws of fundamental fairness and human rights. This ruling deliberately inflicts on an ethnical, racial or national group, conditions of life calculated to bring about its physical destruction in whole or in part. This ruling violates the Convention on the Prevention and Punishment of the Crime of Genocide. To name a few more, the ruling violates the International Covenant on Economic, Social and Cultural Rights (ICESCR); the Universal Declaration of Human Rights; and, the International Covenant on Civil and Political Rights (ICCPR). It amounts to ethnic cleansing of an entire segment of a nation’s population by the rule of law. That, makes the law complicit in the prelude to genocide or more violence against Haitians in the DR, who are already besieged and vulnerable. The ruling violates the senses. It’s contrary to the UN charter, OAS charter, CARICOM mandates and established laws of nations. It institutes legal apartheid and effectively dehumanizes a whole group of people because of their ancestry. It denies the humanity of Black people in the DR — legally disenfranchising a whole segment of society based on skin color and national origin; subjecting Dominican children of Haitian ancestry to state-authorized human, political, economic and civil rights abuses. It’s immoral and illegal by any standard. It’s defies common human decency. It’s wrong. According to Refugee International: “Being stateless means having no legal protection or rights to participate in political processes, inadequate access to social services, poor employment prospects, little opportunity to own property or travel, and few protections against trafficking, harassment, and violence. FreeHaitiMovementstatement on the DR ruling. 6. Urge the Haitian government to stop all trade with the DR and recall its ambassador until this ruling is voided. Urge all nations to declare DR a rogue nation for instituting legal apartheid and civil genocide stripping citizenship rights of Black Dominicans. Statelessness also has a disproportionate impact on women and children.Genocide experts have shown that genocide happens in eight proven stages. Stripping of citizenship rights, classifying Haitians as inferior in the DR is a sure step towards justifying GENOCIDE and more state-sponsored violence against human beings who look African or are Haitian. The 1937 Trujillo massacre of Haitians and the descendants of Haitians in the DR cannot be allowed to re-occur. Never again. This ruling will not only allow for statelessness of Dominicans with Haitian ancestry who are 84 years old and younger, but the opportunity for thieves to steal the properties or murder members of the group, causing serious bodily or mental harm to members of the group. The consequences are massive. Justify already pervasive violence and cultural superstitions in the DR. There is but one human race. The world did not stop the Kosovo genocide, the Srebrenica genocide, the Rwanda genocide, the on-going Congo and Sudan ethnic cleansings. Here in the Western Hemisphere, this ruling exacerbates historical violence in the DR against Haitians and unless it’s denounced worldwide, the world will, once again, fail to protect identifiable members of a group, marked for extermination. This ruling makes the DR a rogue nation ready to dehumanize a particular group of innocent humans in its territory. The world and established civilized nations, must not allow such terror to play out. HLLN reaches out people-to-people into the world, to all humans regardless of nationality, gender, ethnicity or racial grouping. 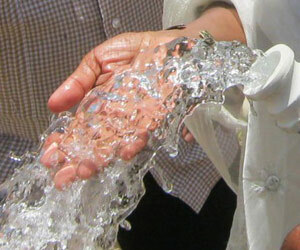 HLLN has already detailed the irony of appealing to Haiti occupiers, disease and famine-bringers, like the UN-MINUSTAH and the US government stakeholders disenfranchising Haiti, to assist in protecting the human rights of Black Dominicans in the DR.
“Boyer’s government became unpopular when it levied taxes on the island’s population to pay France, but it took a natural disaster to topple his government. 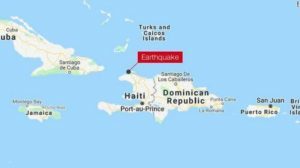 In 1842, while the country was still under an American embargo, a powerful earthquake struck Haiti and crippled Boyer’s administration. The disarray empowered rebel groups throughout the island. An opposition group sprung in the south while in the east, a separatist movement led by Juan Pablo Duarte gained momentum and eventually led to the eastern side of the island declaring its independence in February 1844. President Tyler of the United States responded by saying that the United States, France, and Spain must quickly recognize this new nation in order to limit the influence of Black people in the Caribbean. The United States quickly recognized Dominican independence but waited 20 years later to recognize that of Haiti. When after the Battle of Vertieres (Nov. 18, 1803), Janjak Desalin declared Haiti independent (November 29, 1803) and free of slavery, that declaration of Haiti independence included the western portion of the island known today as the Dominican Republic. The Dominican Republic was once a part of Haiti and remained so until 1844 when a rebellion, led by Juan Pablo Duarte, established the Dominican Republic as an independent nation. With the advent of the US occupation of the Dominican Republic in 1916 and Haiti a year earlier, Haitians from Haiti were carted in by the US Marines to the Dominican Republic as slave-labor to work in the sugarcane fields. Unfettered capitalism found it easier to set up batey plantations in the Dominican Republic rather than in warrior Haiti. 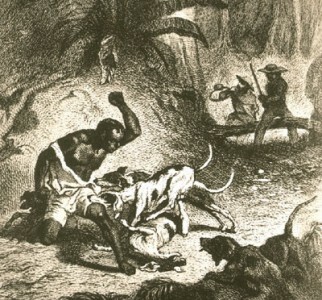 That’s how Haitians began to be slave wage laborers in the DR. The anti-Haitian sentiments in the DR that is an inextricable part of DR culture and life deepened further with the US importation of Haitians into the DR as menial labor. Eventually new nationalistic laws were enacted in the DR to counter the foreign use of Haiti labor. The Dominican Republic today requires that 80% of the workers in any company must be Dominican. But the corrupt government officials hire Haitians and others instead of Dominicans because that way the capitalist doesn’t have to pay the top salaries mandated by law, nor give the poor non-Dominican workers the health and pension benefits mandated by law. Pitting poor Dominicans against poor Haitians is lucrative for empire. The current ruling stripping Dominicans of Haitian descent of citizenship and political rights is inextricably connected to the corrupt Dominican government’s wish to distract its citizen with false nationalism so that Dominicans, of all the ethnicities, are too confused to fight against the corrupt puppets of empire working both sides of the island. Stripping Dominicans of Haitian descent of citizenship is an economic and social boon for the capitalists. It gives angry and economically strapped Dominicans, who must immigrate to raise their family’s living standards, a scapegoat to assuage their discontent on. True insight about their dire lot in US/Euro-colonized Dominican Republic is too much trouble to contemplate. 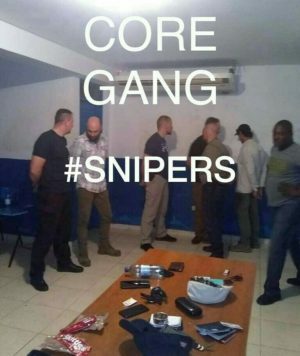 Not with over 70 thousand Dominican military, trained by the Euros to preserve Euro rights in the DR, running around looking to squeeze Haitians to supplement their meager incomes. While the government’s Nazi-era ruling allows for ethnic cleansing. The upheaval it shall generate will provide cover for the corrupt US puppets running the Dominican Republic to continue looting public funds, lining their pockets at the majority’s expense, forcing migration to Puerto Rico and the US. The Dominican Republic is one of the biggest money laundering countries in Latin America. It’s associated with the biggest drug cartels in the world and is inextricably bound to the tiny Haiti oligarchy. The Haiti mercenary families, acting as overseers for empire and becoming multi-billionaires in occupied Haiti, also mostly carry DR passports. What the Haiti oligarchy cannot do in Haiti to the Black Haiti majority there, they certainly can undertake in the DR with this ruling. Martelly/Lamothe government was put into office to service the US/Euro business classes working both countries. This ethnic cleansing of Dominicans of Haitian descent is intended to and will spill into Haiti. 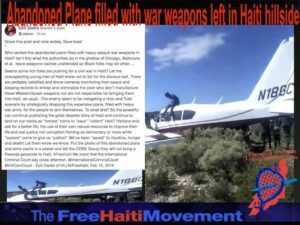 The white saviors will raise more monies on Black pain, will continue to swoop in with the UN and their NGOs to supposedly defuse both sides of the nationalistic fervor and the violence they’ve orchestrated. Where ever the UN or the NGOs go, genocide follows or gets worst for the Black woman’s child. 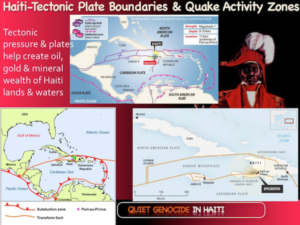 Their false benevolence hides empire’s efforts to depopulate warrior Haiti. “Immigration inspectors with the help of members of the National Army and Police, arrested between Wednesday and yesterday hundreds of undocumented Haitians, who repatriated to their country, then the residents and representatives of neighborhood associations and community organizations, threatening to expel them by force if authorities did not. Sonia Pierre (1963-2011), mobilized communities in the Dominican Republic to advocate for citizenship and human rights for Dominicans of Haitian descent. 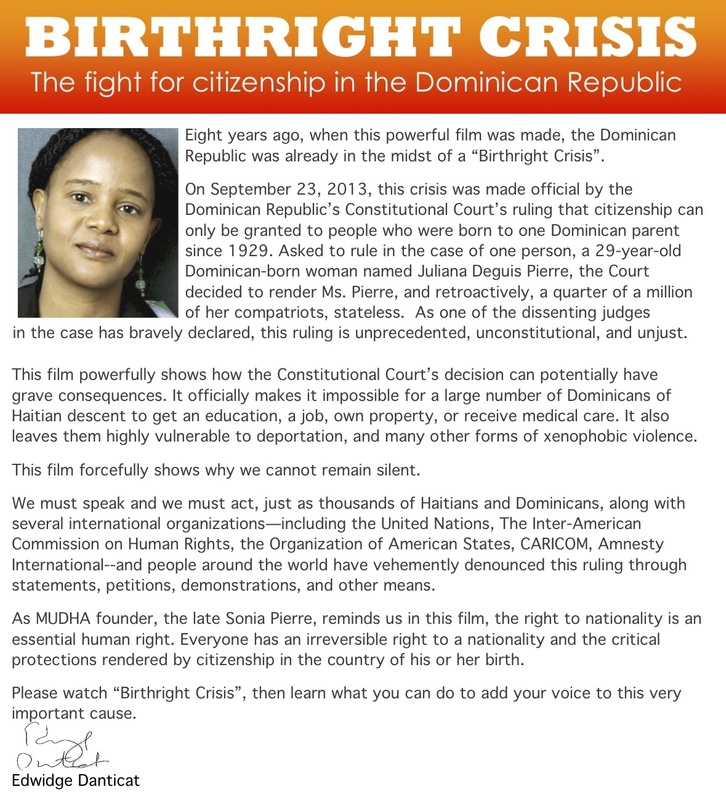 As the director of Movimiento de Mujeres Dominico-Haitiana (MUDHA), she used legal challenges in domestic and international courts to defend the citizenship rights of first and second generation children born on Dominican soil. This panel highlights the activism of young women who are moving forward with Sonia Pierre’s work on behalf of Dominicans of Haitian descent, and addresses the question of how international pressure impacts efforts by marginalized groups to demand recognition. Panelists include Manuela (Solange) Pierre, Sonia Pierre’s oldest daughter, and the founder and coordinator of the Dominican Network of Young African Descendants (Red Dominicana de Jóvenes Afrodescendientes); Ninaj Raoul, the Executive Director of Haitian Women for Haitian Refugees; Monisha Bajaj, Associate Professor of International and Comparative Education at Teachers College; and Miriam Neptune (moderator), video producer and director of “Birthright Crisis,” an award-winning documentary depicting the cycle of deportation and violence faced by Dominicans of Haitian descent. 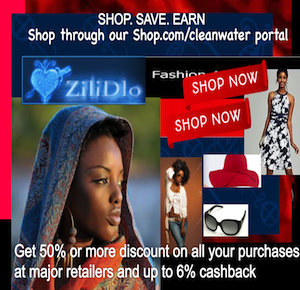 Co-sponsored by Haitian Women for Haitian Refugees. 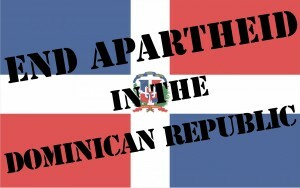 Take ACTION- boycott, sign petitions, denounce the Haiti collaborating government which continues to trade and have diplomatic relationship with DR.
Dominicans of Haitian descent in the Dominican Republic are systematically denied citizenship rights. This video is about the Haitian-Dominican community’s resistance in the face of illegal deportations, scapegoating, and exclusion. Ãganizasyon k ap defann dwa moun nan Repiblik Dominikèn yo rejte desizyon Tribinal Konstitisyonèl la epi yo lanse yon apèl pou solidarite. Divès òganizasyon yo ki siyen dokiman sila a rejte desizyon 168/13 ki soti nan Tribinal Konstitisyonèl la ki efase nasyonalite 4 jenerasyon moun lalwa ak konstitisyon Dominiken te rekonèt kòm Dominiken depi plis pase 80 lannen. Desizyon sila a vyole omwen 15 atik nan Konstitisyon Dominiken an epi li chita sou baz ras pou l elimine nasyonalite dè milye e dè milye Dominiken sitou sa k dorijin Ayisyen yo. Fò n tou di se depi 2007 leta Domniken ap sezi dokiman moun sa yo. Ka Tribinal Konstitisyonèl la tranche sou li a se dosye Juliana Deguis. Tribinal la te gen pou l deside si Jent Elektoral Santral la te vyole dwa konstitisyonèl Juliana Deguis lè l te refize ba li kat didantite peyi a ki rele yon “Cédula”. Olye Tribinal la annik tranche sou dosye sila a, li manipile entèpretasyon règ jwèt ki egziste yo pou l retroaktivman enpoze manti ki vle fè konprann yon imigran ki “depasaj” genyen yon rapò dirèk ak si imigran sila a gen papye legal oswa si l pa genyen. Se yon mannigèt pou fè opinyon piblik la konprann pitit Ayisyen yo responsab krim paran yo ta komèt anvan yo te fèt. Pwoblèm nan sè ke nan tan paran yo ta fè krim sa yo, lalwa peyi a pantko menm deklare bagay sa yo ilegal. Desizyon Tribinal Konstitisyonèl la nan kontradiksyon ak tèt li. Sou yon bò li pase lòd pou bay Madam Juliana Deguis sètifika nesans. Li demanti tèt li lè sou yon lòt bò li pase lòd bay Jent Santral Elektoral la pou l otorize tribinal òdinè li yo pou yo verifye tout sètifika nesans ki parèt devan yo. Sonje se menm Tribinal Konstitisyonèl sila a ki nan menm desizyon an deklare tout sètifika nesans an kesyon yo ilegal epi tout moun ki genyen yo se etranje yo ye nan peyi a.
Nou vle tout moun wè klèman desizyon sila a se yon zouti pou kanpe yon sistèm apated nan mitan popilasyon an. Yon sèl kou desizyon an divize popilasyon an ant Dominiken natif natal ak yon lòt gwoup Dominiken ki bridsoukou atravè bagèt majik Tribinal Konstitisyonèl la vin tounen etranje senpleman paske yo se pitit imigran. Se dè milye e dè milye Dominiken k ap pèdi kapasite pou yo jwi dwa ki pi fondamantal nan peyi a, menas depòtasyon pral pann sou tèt yo chak jou, y ap kontinye gen gwo problèm pou y al lekòl, pou yo travay, pou yo achte asirans, pou yo gen pansyon; pou yo marye’ pou yo gen yon kanè labank; pou achte; eritye; epi sa k pi rèd la yo pa menm ka pati kite peyi sila k ap voye yo jete a paske yo pa ka jwenn ni renouvle yon paspò. Yon pil ak yon pakèt Dominiken ak Dominikèn ap kontinye retransmèt bay pitit yo menm stati apatrid sila a yo yo viktim de li jodi a. Sa a limenm se yon kokenn kontradiksyon lè n konnen leta peyi a gen devwa pou l pwoteje timoun peyi a kont tout kalite diskriminasyon epi pou l garanti lalwa rekonèt yo tankou moun. An menm tan desizyon sila a vin agrave majinalizasyon ak eksklizyon dè milye moun epi li vin fè l pi difisil pou n bati yon sosyete ki chita sou bon jan gouvènans demokratik. N ap mande pouvwa ekzekitif la ak Kongrè Nasyonal la pou yo pran responsabilite yo pou yo vini ak yon bon jan solisyon, ki fè sans, k ap kapab rantre an aplikasyon epi k ap rezoud pwoblèm sila a yon fwa pou tout. Lè Tribinal Konstitisyonèl la vini ak desizyon sila a, se koupe l koupe fache ak tradisyon konstitisyonèl Ameriken an, ak sistèm Entè Amerikèn nan epi ak Sistèm Entènasyonal la. Sa vin mete peyi a nan yon sitiyasyon kote l riske tonbe anba tout kalite sanksyon entènasyonal dèske l refize mache odyapazon ak tout obligasyon li fin dakò pou pwoteje epi respekte dwa delòm tout moun k ap viv sou tè a.
N ap mande sosyete Dominikèn nan pou pote kole ak tout moun ki viktim desizyon sila a; pou l patisipe nan tout mobilizasyon k ap fèt epi pou leve vwa yo kont tout mannigèt ki vle fè desizyon sila pase pou yon bagay serye. Yon lòt fwa ankò n ap mande tout zanmi nou nan laprès pou yo pran bon swen pou byen esplike tout popilasyon an tout vire tounen ki gen nan dosye sila a; pou yo esplike pa gen moun ki ilegal, epi popilasyon ki viktim desizyon sila a se pa yon popilasyon imigran. Se Dominiken yo ye e ke se lalwa peyi a menm ki rekonèt yo kòm Dominiken. Noumenm Ãganizasyon k ap defann dwa moun yo ki siyen dokiman sila a, n ap mete plis chalè nan dife a, n ap kontinye aksyon òganize epi sistematik pou n denonse desizyon sa a epi n ap mobilize nan nivo nasyonal ak entènasyonal jiskaske tout dwa desizsyon sila a vyole yo retounen nan plas yo. SANTO DOMINGO, RepÃºblica Dominicana, 2 de octubre 2013. El conjunto de organizaciones abajo firmantes rechazamos la sentencia No. 168/13 del Tribunal Constitucional (TC) que arrebata la nacionalidad a 4 generaciones de personas que durante 8 décadas fueron registrados como dominicanas, al amparo de la Constitución y leyes vigentes. La sentencia, que viola al menos quince artÃ­culos de la Constitución dominicana y que apela a criterios raciales para despojar la nacionalidad, afectará a miles de dominicanos y dominicanas de los más diversos orÃ­genes, especialmente a aquellos de ascendencia haitiana a quienes el Estado ya les está quitando sus documentos de identidad dominicanos desde el aÃ±o 2007. El caso por el que el TC falló trataba de determinar si la Junta Central Electoral (JCE) vulneró derechos constitucionalmente protegidos con su negativa de entregarle la Cédula de Identidad a Juliana Deguis. Pero el TC manipuló la interpretación de las normas para imponer, con efecto retroactivo, la mentira de que la figura de “Tránsito” se refiere a si el inmigrante está regularizado o no. Un desvarÃ­o para tratar de convencer a la opinión pÃºblica de que hijos e hijas tienen que ser condenados por hechos que no estaban previstos por la ley, supuestamente cometidos por sus padres, antes de ellos nacer. Miles de dominicanos y dominicanas se verán impedidos de ejercer sus derechos fundamentales, enfrentarán cotidianamente el riesgo de deportaciones masivas, continuarán enfrentando dificultadas para estudiar, trabajar, pagar seguro médico, cotizar en el fondo de pensiones, contraer matrimonio civil, abrir cuentas bancarias, comprar, heredar; e inclusive, no podrán salir del paÃ­s que ahora los rechaza, porque no podrán sacar o renovar pasaporte. Miles de dominicanos y dominicanas continuarán transmitiendo a sus hijos e hijas el estatus de apatridia que les afecta, un completo contrasentido, en el marco de la obligación que tiene el Estado de proteger a la niÃ±ez de todas las formas de discriminación y de garantizar el reconocimiento de su personalidad jurÃ­dica. Insistimos en llamar a la sociedad dominicana a solidarizarse con las personas afectadas por esta decisión, sumándose a las actividades de movilización que están previstas y levantando su voz en todos los escenarios donde se intente imponer la mentira que sustenta esta sentencia del TC. También reiteramos el llamado a los amigos de la prensa, para que promuevan un abordaje exhaustivo del tema, recordando que no hay seres humanos ilegales y que la población afectada por la sentencia no es inmigrante sino dominicana, reconocida por el Estado como tal. Las organizaciones de derechos humanos que suscriben este comunicado, estaremos intensificando de manera progresiva, sistemática y sostenida acciones de denuncia y movilización a nivel nacional e internacional, hasta que los derechos violados por esta sentencia sean restituidos. When Juliana Deguis Pierre’s birth certificate was seized by the Dominican Republic’s Central Electoral Board in 2008, she could hardly have expected that her fight to get it back would result in a court decision that violated international treaties and put hundreds of thousands of Dominicans at risk of statelessness”but that is precisely what happened. Sign the petition and tell the Dominican Republic not to deprive Juliana Deguis Pierre”and many others like her”of their Dominican nationality. Until recently under Dominican law, citizenship was automatically granted to any child born within the country, except for children whose parents were diplomats or were “in transit.” “Transit” was defined as being a period of time fewer than ten days, which made children of migrant workers eligible for Dominican citizenship. In 2004, however, the law changed, expanding the definition of “transit” to cover “persons with expired residency visas and undocumented migrant workers.” The government has been retroactively applying the new law, and it is under these circumstances that Juliana Deguis Pierre had her nationality revoked. The main problem with this application of the law is that it violates a number of international treaties that the Dominican Republic has signed. Under Article 8 of the Convention on the Reduction of Statelessness, no country may revoke a person’s nationality if doing so “would render them stateless.” Additionally, the American Convention on Human Rights states that “[e]very person has the right to the nationality of the State in whose territory he was born if he does not have the right to any other nationality” (Article 20). The Dominican Republic’s 2004 law”and its retroactive execution of it”violates both the spirit and the letter of these agreements. Do not allow the Dominican Republic to deny hundreds of thousands of people one of their most basic human rights. Sign the petition and demand that Juliana Deguis Pierre and other people of “disputed” nationality be allowed to retain their Dominican citizenship, and urge the immediate revision of the 2004 Migration Law. Nationality is one of the things we take most for granted in the world. However, a recent court ruling leaves hundreds of thousands of Dominican citizens teetering precariously on the verge of statelessness. Please do not allow this easily avoidable human rights crisis to occur. Uphold the Dominican Republic’s obligations under international law and revise the 2004 Migration Act. The Dominican Constitutional Court’s decision to uphold the seizure of Juliana Deguis Pierre’s birth certificate by the Central Electoral Board on the grounds that her names “are Haitian” is a gross violation of the Convention on the Reduction of Statelessness, of which the Dominican Republic is a signatory. Under Article 8 of the convention, no country may revoke a person’s nationality if doing so “would render them stateless,” writes Amnesty International. Furthermore, the American Convention on Human Rights states that “[e]very person has the right to the nationality of the State in whose territory he was born if he does not have the right to any other nationality” (Article 20). Revoking Juliana Deguis Pierre’s citizenship sets two dangerous precedents. First and foremost, it puts a huge population of current Dominican citizens at risk of statelessness, a violation of their most basic human rights. Secondly, it disproportionately targets Haitians and discriminates against them based on their names. This is among the most easily avoidable humanitarian crises in the world right now. Do not allow the Dominican Republic’s courts system to become synonymous with “human rights violations.” Honor the Dominican Republic’s obligations under international treaties. Do not revoke the nationality of Juliana Deguis Pierre or any other person whose citizenship has retroactively been called into question. And finally, revise the 2004 Migration Law so it is not in violation of international law. 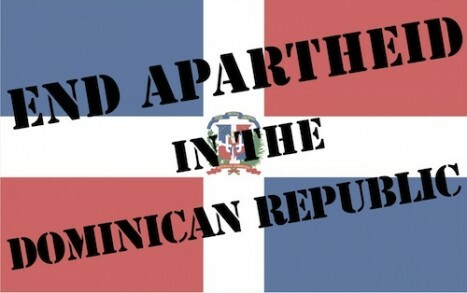 Sign petition to DR president Danilo Medina: Dominican Republic: Don”t Strip Citizens of their Nationality. People of Haiti will NOT allow their offshore islands, including Ile A Vache, to become another Labadee where foreign tourists don’t even know they’re in Haiti and where Haitians are forbidden to enter much less benefit in any way from this foreign presence on their lands! The Haiti public does not even know where the monies paid for the Labadee tourist project goes to! 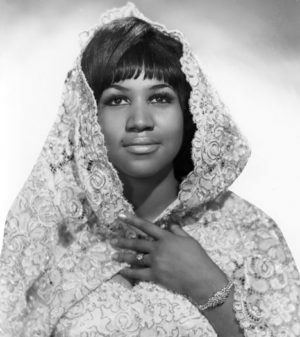 I don’t know if there is any sign of US manipulation behind this apartheid, but this division and contention in Hispaniola must be beautiful music to the ears of US imperialists.